At the very, very beginning, I recommend just getting a feel for the language. Most language textbooks begin with the alphabet and some crazy explanation of what the letters sound like. For example: 'c' in Polish sounds like 'ts' in the word 'cats'. And so on for every letter. However, it's going to be very difficult to imitate Polish pronunciation if you've barely had a chance to even hear it spoken. Every language has it's own rhythm. A textbook can tell you that "stress in Polish almost always lands on the penultimate syllable of every word." But that stress pattern actually sounds like something! Humans are designed to imitate rhythmic patterns. Before you can imitate, however, you need to spend some time hearing it. I recommend spending a week or two just listening to Polish language in the background. Here is an internet radio station that plays songs in Polish. There are several channels: click on any of the red buttons which read "Włącz to radio". The first one labeled "Tylko Polskie Przeboje" is Polish hits. And here is a talk radio station - click on "Posłuchaj" (direct link). You won't understand anything - but that's OK! That's not the goal of this first step. Most Polish courses and textbooks go straight from the alphabet to grammar. However, knowing a little about what to expect from Polish grammar can be useful. This will help you to know what to look out for in the future. Here is a Polish grammar overview for complete beginners. There are lots of materials and products for learning some simple phrases and vocabulary in Polish! 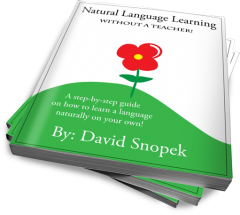 I've written a few reviews of Polish learning products. The one I personally like best at this stage is Pimsleur Quick & Simple Polish. Click here to read my review! You'll learn how to introduce yourself and order something at a restaurant. It isn't anything revolutionary but I like it because it's easy (which is important at the beginning) and it's audio only. I recommend spending 2-4 weeks learning some simple words and phrases. In my opinion, the best time to start learning the alphabet is after you already know some words and phrases. Before you know any words, the alphabet is going to seem very abstract and it'll be difficult to understand or remember. However, at this point it will be practical and make more sense to you. Click here to read my full article about learning the alphabet. 5. Find some Polish content you love! I learned Polish primarily by reading and listening to the Harry Potter books in Polish. You don't have to read Harry Potter. You could also watch TV shows, listen to music, talk with people or play video games. In my FREE ebook, I write in detail about how to find the best content for you and how to use it to learn. If you subscribe to my blog, you'll receive an e-mail with information about how to download it. Piotr from RealPolish regularly creates free videos and podcasts for learners of all levels. He also has some paid products. I haven't tried them all, but the one I did was very good! Anyway, no matter what content you choose, I recommend using the techniques from my ebook to learn from it. After a few months, you'll no longer be "getting started" - you'll be well on your way to mastering Polish! This is when it can be useful to take a look at the grammar rules from time to time. I wrote an article about the first grammar you should learn in Polish. And, of course, all of my more advanced advice starts to apply to you! For example, how to get over your fear of speaking and how to practice speaking over the internet. Are you just getting started with Polish? What are you struggling with? Or, if you're more advanced, what DID you struggle with in the beginning? Write a comment below! Quick question about Polish content in Step 5. What do you think of subtitles while watching movies? Are they helpful or a hindrance? This is a personal preference thing. I don't really like subtitles for language learning, because I can't focus on two things at once. I'm really either reading or listening, but never both. Other people don't have this problem! There are lots of people who swear by the simultaneous nature of subtitles - but they're just not for me. I'd say give it a try both ways: (1) film and subtitles and (2) film and transcript - and see which one works best for you! I always tell my students to watch films/TV series with subtitles (especially the second), even if they can't focus on both simultaneously, because it still helps them to absorb some ready chunks of language subconsciously. Later, often they tell me "I heard that! It was in some film, yeah yeah I remember!". So I do believe its useful to watch with subtitles, but a lot depends on one's ability to focus AND on the difficulty level of the language in the video. TV series are a bit better, because you follow the plot, characters and so it's easier to hear and understand some language. I'm not sure that I understand the question... All of the examples you gave are grammatically correct! Can you give a full sentance that's giving you trouble? There's lots of people there who know grammar English well (including me!). I think the most difficult part when learning Polish is the conjugation of the verb and the declension of the noun. I mean not only the spelling or the grammar,but also the understanding of hearing. For those who speak English,I think it is normal for us to recognize a word by it's ''sole''sound, which is, a vocabulary matches only ''one''sound/pronunciation.But in those languages which we need declensions or conjugations, the vocabulary become unfamiliar to us(or only to me? )because both the spelling or the sound/pronunciation change.It is not easy to catch because one infinitive verb or the nominative case of noun may turn into several forms and when others speak, you tend to miss it since the unfamiliarity exists. I don't know whether non-English speakers have this kind of problem. However, with enough exposure to enough words, it becomes easier and easier. The thing is, these changes are all systematic. There really is only a handful of possible ways that a word can change! In the beginning, it seems infinite because every new change is a complete surprise. But once you've seen them all, you can actually guess pretty accurately what the base form is, even for words you've never met before. So, I think you're right when you say it's about acquiring the skills to recognize these things. If you've never had to do it in your native language (or other 2nd language you know), it may take you a little longer to even get used to the idea that words can change that much. :-) But with time it becomes second nature! To be honest with you, this it the thing we're (Poles) learning at school when we're about 8 years old. Children normaly learn how to speak copying their parents, but you learn all grammar and ortography at school. And we learn it just like you do... declensions, conjugations, everything seperatly. When you catch all the exceptions in this how to use them, then you start to understand. There are lots of adults which dont speak proper polish, only because they 'didn't like grammar and ortography' at school, like for exempe we don't say 'poszłem', we say 'poszedłem', so don't be worry if you make a mystake. The rooth word you always recognize of the beggining of the world, because it mostly this same. Sorry for my mystakes. I'm just learning english just as you're learning polish. Wonderful post. It's so helpful to have a process to begin with when learning Polish. I am interested in picking up the Assimal Polish for English speakers but cannot find it anywhere. The Assimal sight seems to only have English for Polish speakers as does Amazon. Any suggestions whee I might find it? Your blog is very motivating and is packed with helpful advice. But if you do track down the real course, please post a link here! I'm sure it'd be useful to other learners. Hmmm, I`m from Poland so for me polish is easy and I never had a problem with this language. Sometimes I have only problem with spelling, but it's no surprised, Polish has a lot of different words. Have you heard about polish certificates http://certyfikatpolski.pl/ which are equivalents of english FCE, CAE etc. (here page with sheets: http://certyfikatpolski.pl/materialy/egzaminy/ ) You could try to do it. I've been wondering for a recent time how high score would you have if you did those exams. Maybe, would you even pass polish exam on level C2, equivalent of CPE, when your polish is so good? What I really appreciate from this article is the idea that, before starting to learn Polish or another language, it's important to try to catch its melody and intonation before dealing with grammar and anything else. It is well known that babies start speaking when they understand 70-80% of what they hear. So we probably need to achieve that level of language comprehension before even trying to say a word? This is interesting - I didn't realize this! Thanks for sharing. I agree that biggest mistake in language learning is to start with grammar. It's the most boring thing when it comes to learning a new language. I suppose that if you learn Polish you should have a dictionary and some other apps on your smartphone. It helps me a lot. I can study in a bus or tram. I agree to some degree with the grammar. I feel like the first step in language learning is to get 'comfortable' with the new language. To get to a point where when you hear it/see it, it doesn't seem like something so incredibly foreign. Once you get to that point, the learning seems to go smoother. For years I've studied Russian -- taken all the Pimsleur courses, Michel Thomas, studied the grammar, etc., but I have never been able to speak it. Is it me, that I have poor language skills, or what? Having met no success with Russian, I am now trying to move to Polish. One thing I've learned about languages: if you don't admire the culture, then don't study the language. I have lost a lot of respect for Russian culture. Polish people, I admire. Never, ever have the Polish people been cruel and warlike. In fact, just the opposite. I'm hoping I'll have better luck with Polish than I've had with Russian. Only problem I'm having is that I feel my poor little brain not big enough to hold so many languages. Will learning Polish cause me to lose my knowledge of Russian? It's unlikely that it's because you have "poor language skills" - I also studied Spanish for 6 years and learned pratically nothing, then studied Russian for 3-4 years and only got to an intermediate-ish level. It was only with Polish, when I drastically changed my approach, that I had such success. There's likely something stopping you, for example: fear of speaking, not enough listening, lack of vocabulary, etc. There's loads of potential problems. Have you read my free ebook? I'd recommend reading it and seeing if it helps you figure out where you're stuck. Will learning Polish cause me to lose my knowledge of Russian? That depends on your level of Russian. The higher your level, the less of it you're likely to lose. I made a similar transition (from studying Russian to studying Polish) and, unfortunately, I lost a lot of my Russian - but not all of it! I wish you the best of luck with your Russian and Polish! 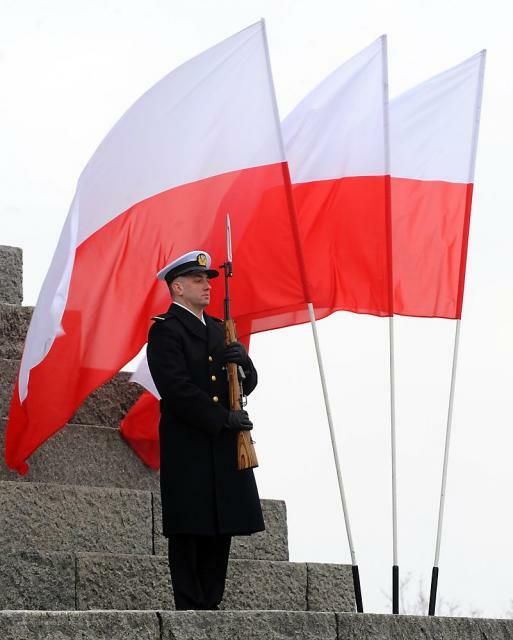 I am new here & i am polish-american, i want to learn polish 100% & go there one day. Where can i get started to learn? I hope that (along with the links in this article) helps! My name is Arek I am from Poland. I am looking for a person who are interested in language exchange. I can help you with polish and I am going to make progress with my english as well. I have studied english for six months I am not able to speak fluently at the moment but I understand a lot what people say. If you are interested in language exchange send me a message. I move to disagree with your point regarding grammar. For many learners grammar feel intimidating and that's why they will be glad to skip it at first. But without grammar, the only thing left is to memorize phrases and sentences as they come which, in my opionion is not that effective. It does not hurt to learn the basic grammatical rules first and start constructing simple sentences. Thus, grammar can be learned along with the other aspects of language i.e. vocabulary and pronunciation patterns. I created an app that might be useful for people that start learning polish. The app contains a number of flash cards for learning polish words. Of course it is for free. I have just started attempting to learn Polish within the past month. I know someone who is fluent in Polish, but it is still difficult to get going. I have attempted to learn German in the past, so I can see the similarities and that makes things a little easier. I have attempted to start with the grammar route and it is so intimidating I almost gave up. I tried conjugating the present tense of 40 verbs or so and got so frustrated because there didn't seem to be any rules! I'm going to try reading/listening to Harry Potter and see if that helps. What I have found so far in my month of starting out, I can read/recognize a lot of Polish on the page and understand the gist of what the sentence is trying to say, but I can't pronounce or reply to anything. I'm hoping that will change within the next couple of months. Also, the link for 'Real Polish' is no longer working. Does anyone have the new link? Interesting. I learn languages differently, mainly by focusing on grammar (I actually learn languages for the grammar, I just adore noun declensions and verb conjugations. I have this obsession with it... am I weird?) But I never achieve speaking until I spend a lot of time on it after focusing on grammar. I enjoy it, though. David, I am so glad I found your site!!! I have been learning Polish for a while now (on and off) and even though I'm not starting from nothing this page has been very useful already! I'm headed to Poland this summer (finally!) and I'm so glad to have this kind if resource! polish native speaker - just write. My polish for your english.